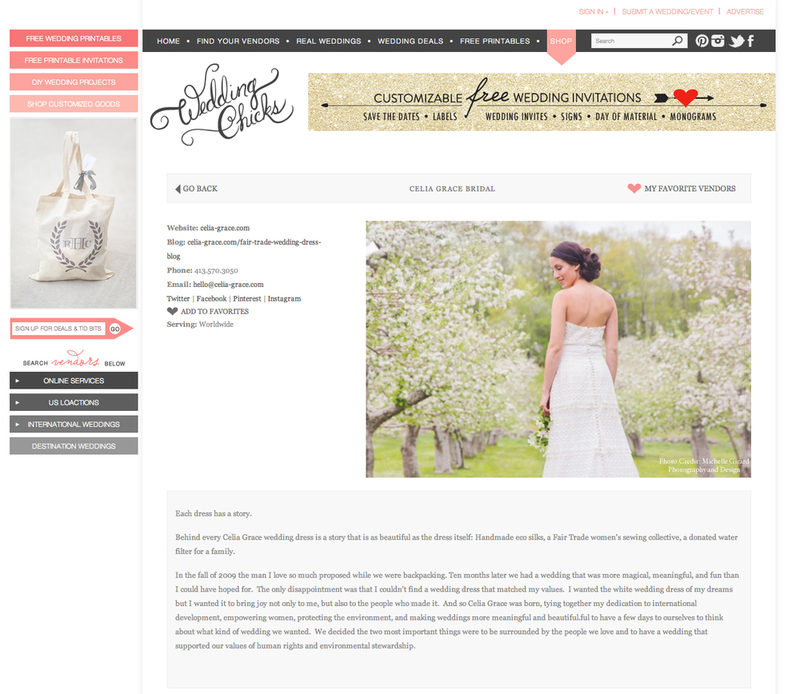 Just want to give a little shout out to Celia Grace (a beautiful handmade, fair trade, eco conscious wedding gown company) who was just added to Wedding Chicks vendor guide. Celia Grace is a wonderful company with gorgeous dresses - it's good to see such a great company highlighted on this beautiful wedding blog. And you may recognize that photo too from the Spring Apple Orchard shoot we collaborated on together a couple months ago with Karrie Welch (Makeup Artist)!